Welcome to Las Vegas For Beginners. Thanks for stopping by and visiting our little corner of the web. We think you'll find our site very informative and very helpful. Our mission to help beginners, and the seasoned visitor, make their next trip to Las Vegas the best trip ever. Never been to Las Vegas before? Or, are you in the process of planning a return trip and want to get more out of Vegas than the last time you visited? We'll give you with a wealth of information to help you plan, enjoy, and save money on your first (and future) trips to Las Vegas. All this on a clean site without a lot of distracting ads. Everyone knows about gambling, drinking, and partying-those are the easy things to find out about. The secret is knowing what else there is to do that will make your trip the most enjoyable it can be. That's what we're here for! Let's face it, we've all been there. Call us an amateur, greenie, newcomer, or n00b, but we all need help in planning our first trip to Sin City. Whether you're on vacation or a business meeting, it's good to have a plan. The options available to you from hotel rooms and shows to dining and gambling can be daunting to navigate. We'll show you useful websites, productive apps, informative forums, and money saving ideas right here, no need to start anywhere else. We want to help you enjoy your next trip to the fullest. Please continue to check back, as we are constantly updating the site and will be adding more pages. (Site Update: We have purchased additional URLs. So, if you forget our sites full address, you may use lasvegasforbeginners.com, .net, .VEGAS or vegasforbeginners.net, .VEGAS, and you will be redirected to this site). WHAT TO DO! : Just like the title says, you'll find plenty of things here to help you fill your time in the best little adult playground in America. Keeping with our theme, many of these outings are free, some might have a cost, (and give you a link to the destination's pricing page). We group the locations together, to help your planning. THE STRIP & NEARBY: We'll give you a choice of things to do up and down the strip, as well as strip adjacent. We'll give you a description, address, hours, web link, all to make it easy for you to decide where to enjoy yourself the most. BEYOND THE STRIP: These locations require a rental car to get to, but they are well worth the trip. Not everything is on the strip, so be adventurous! CALENDAR OF EVENTS: Let's face it, when you arrive in Las Vegas, you're trying to get your bearings and you might miss local happenings that you would have enjoyed but you don't know where to look. That's what this page is for, keeping you up on what's happening in your new, best vacation spot. We currently have events listed all the way out to 2021, in listings by month/date that are clean and uncluttered. We'll give you all you need: dates, location, admission fees, website, maps, etc. If you're planning a trip, but don't have a date nailed down, look here to see what's going on for a great starting point. Be sure and check this page just before your trip and look for new events. Enjoy yourself! SHOPPING: You may not know it, but walking around in an air-conditioned mall and enjoying some tasty tidbits from their food court can make for a relaxing, stress-free afternoon. We enjoy just that on our trips, and we think you would too. On this page you will find our list of some of the best shopping locations and give you all the information you need: directions, store maps, hours of operation, etc. COMEDY CALENDAR: One question we hear frequently is what comedy clubs are in Las Vegas and who is performing around town. Here's where you'll find the answers to those questions. We'll tell you where they are, dates, times, and a link to purchase a ticket. All in our signature clean and uncluttered design. One stop! CONCERTS: We just keep expanding! Here, you can find Residence Shows, Headliners, and One Night Shows for many properties. All in a clean, uncluttered format by date. We'll give you artists, dates, times, and ticket pricing (always, subject to updates, so check the site). Keep checking this page for all the latest in music shows. HELPFUL TIPS: We will pass along valuable tips and tricks we learned over the years to make your trip to Las Vegas more enjoyable and cost you less. From the best ways to get around, the best websites and blogs, to information that will help you get the most out of your money, this area is chocked full of useful knowledge. PLANNING TIPS: If this is your first, or fifth, trip to Las Vegas, we've put together a few helpful tips to help you plan your next trip to our favorite city. We know you'll find them useful while planning your trip. KEEP UP TO DATE: Here's the page with a great listing of websites, blogs, message boards, and podcasts that you can visit to get your Vegas fix. These are sites we visit and trust, and we'll continue to add more. 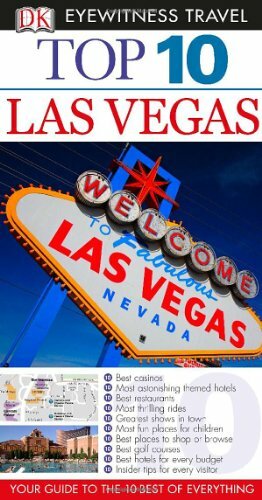 VEGAS APPS: There are a lot of Vegas-themed apps for your smartphone (Android, iOS, and Blackberry) and programs for your computer. We'll help you discover the ones that will be the most useful to you. Most of the apps are free, and we'll let you know if there is a fee to purchase. GETTING AROUND VEGAS: Trams, shuttles, corridors, and all the helpful hints to make your trip less taxing on your feet. Hotel Tips - If you're trying to decide when or where to stay, here's a checklist to help you decide what might be the best for you.Rental Car Deals - Tips on getting the most from your rental car budget. 50+ Specials - Spotlighting special deals for those 50 years old and older. $20-$30/DAY: We give you some choices to keep your food budget in line and have great meals that are really tasty. No fast food in this list, it's all good. GOOD PLACES TO EAT: An accurate title if there ever was one. We do not have expensive eating habits, and we don't change when we're on vacation. Our choices are good, solid eating establishments that will not ruin your budget but will give you the fuel you need to enjoy your trip. HAPPY HOUR DEALS: Las Vegas has happy hours for alcohol, but you should pay attention to food happy hours also. We're going to give you some more good places to eat with discount dining during certain times of the day. DINING DEALS: Come take a look at our list of restaurants and deals you can take advantage of most any time of the day and not drop much money in the process. Be sure and check out our BLOG page also. If you find our site to be as useful as we think it is, feel free to make a Paypal donation to help us offset our costs, or order something from Amazon.com using the affiliate click-thru on the right hand side of some of the pages. We'll have different items which we find very useful in planning or enjoying your trip (OR, order whatever you'd like, just use our click-through). THANKS! Thanks for coming by. Sit a spell, click around the site, enjoy yourself, and learn a few things about Vegas.